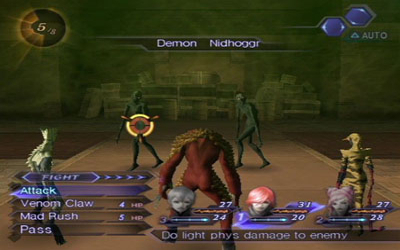 Digital Devil Saga – Avatar Tuner is a duology that makes part of the long running Shin Megami Tensei universe. It was originally released for the Playstation 2 and it is an excellent RPG, but it might as well be the best game to play for those who want to start following the “Megaten”-verse. Not only because the gameplay is one of the simplest in the series, because it doesn’t have all the fusion and talk gimmicks, but also because this may be the very origin of the whole Shin Megami Tensei Tensei lore. The first game in this series is certainly a strange one! You control a tribe named Embryon that lives in this post-apocalyptic world called “the junkyard”. They don’t have real emotions and just blindly follow the rules given by a giant computer known as “dissemination machine”, who commands them to fight against other tribes until only one tribe remains. All the members of the last tribe will be gifted with a trip to Nirvana, which is basically presented to the Junkyard population as “a better place to live” and nothing more. Even so, this is more than enough to make them fight to the death for such a vague reason, even though they don’t even have feelings to show dissatisfaction for their current lives. This all suddenly changes with the coming of Sera. She was rescued by the Embryon members from the inside of a unknown object, and said object spread weird lights all across the junkyard, and anyone touched by those comet-like bodies became a demon possessed by hunger who attacked enemies and allies alike. Sera, who came from that object, might’ve know some answers, but she had amnesia. Little by little the people from the junkyard started to notice many “changes”, not only in their demonic transformations (which seems to be trigged by the tattoo that appeared in their bodies) but they even started to develop emotions. They began to use words that pop-out on their minds to describe those feelings, and they all could suddenly understand what those words meant. Consequently, they also developed unique personalities, deviating even more from their previous machine-like selves. Serph – the leader of the Embryon – became a gentle and quiet person, Argilla turned into a caring mother-like figure, Heat became a passionate person who looks to be always angry, Cielo was now a childish guy who was always goofing around, and Gale – the last one to “change” became the serious and prideful father figure of the group. What was the cause of those changes? Only the “dissemination machine” might know, but even this machine changed as well. A different voice came out of the computer and identified “herself” as Angel. She not only ordered the Junkyard folks to continue their war to seek Nirvana, but she also demanded the capture of the girl named Sera. With all these setting, it’s easy to assume and interpret everything as a bunch of metaphors regarding our current society, but when our heroes finally climb the tower in the center of their world to reach Nirvana, they witness the end of their universe, but it was not “destroyed”. It was simply “erased”. The culprit behind this apocalypse was no one but Angel, who descended to their world in human form and gave them their last trial by facing them in her own demoniac form. By defeating Angel, a portal leading to the legendary Nirvana was opened, but by crossing it, they realized how their “reality” was insignificant. No wonder their world seemed so full of allegories and contradictions, since it was nothing more than a simulation running in a giant computer with the purpose to create AIs of perfect warriors, that would be implanted in the soldiers working for the “Karma society”, a group who rules the Earth in this reality and it revolves around many beliefs that fused religion with science. According to them, the smallest part in any body is its mere information that is the basis for any existence, or simply: “Data”. Everything is made of data, with no exceptions. Data can evolve and change, but it need energy to do so. For that reason, the Sun was recognized as the one true god. As the main source of energy for everything existing on the planet, The Sun was actually a giant database where the information for all evolutions where stored. By accessing its server, the Karma Society tried to find a cure for the disease that was petrifying humans, but their navigator “Serafita” panicked during a crucial moment. This resulted in her downloading a data to cause destruction, which turned humans into demons. Ironically, “demon-shifters” where able to resist the corrupted data released by the sun, becoming immune to the syndrome turning people into stone. To fight against the Karma Society – who toys with human lives, the Embryon needs to join forces with the resistance that call themselves as “Lokapala”. But they don’t trust each other. To serve as a bridge between them, there’s Fred, who is a truly intriguing character. Even though he is a common plot-device to keep the heroes in the right path of the adventure, he’s quite different from what you would normally expect from someone in this role. Fred is not a cute little girl who makes funny and cute things, he doesn’t have a crush on someone, nor sticks together all the time. He is actually a pretty serious kid with a short but effective character arc, He is by no means ugly, but his dark-skin does not appeal to the Japanese ideals of beauty. The developers were not aiming at some easy character-archetype when they created Fred. They were brave enough to try new things to make what would be a cliché story-structure into something more interesting and refreshing! When the members of the Embryon learn about the truth regarding their world, they were already in the path to their demise. Knowing they were not real people, but mere data based on Serafita’s interpretation of the people around her. They were able to gain physical form thanks to Sera’s powers as a “Cyber Shaman”, but that didn’t meant they were related to the people who served as basis to them. For instance: The original Serph was a villain who deceived Sera and used her in experiments that were destroying her body and mind and Argilla was his lover – a weak-minded woman who would do anything to whom could give her pleasure. Surprisingly enough, Heat was a person good at heart, who was the only one trying to protect Serafita. Through the eyes of an innocent child, Serafita interpreted the facial expression Heat did when he was concerned with her as “anger”, while she accepted the fake words used by Serph as the most pure form of love. The Serph you control during the game represents this ideal lover Serafita believed in. But near the end, Heat put you to face the real Serph in order to make the hero understand his true nature. 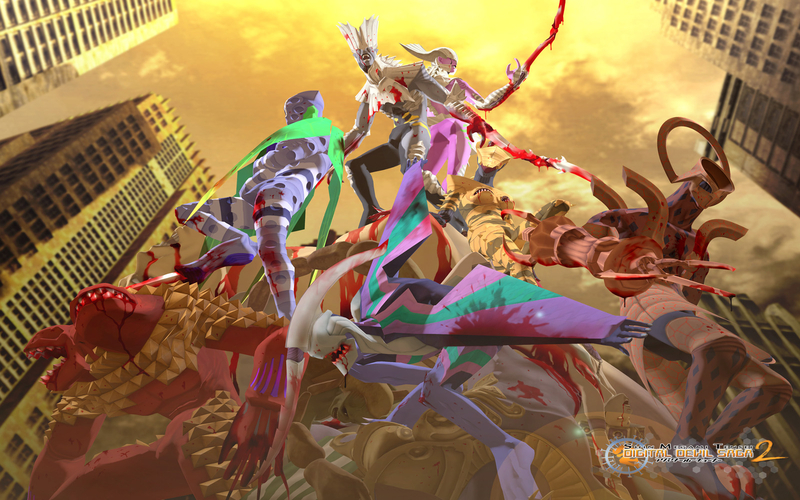 After receiving Heat’s blessing, Serph return to his remaining allies and one by one they die to open the path for the main couple to reach the installations that will send Serafita’s conscience to the Sun, so she could communicate with God in a desperate attempt to save the planet from being erased by It. By going out of their bodies, Serph and Serafita’s data travel to the Sun, but they get attacked by some defensive force that worked as a “fire-wall”. When trying to protect Serafita by embracing her, Serph unconsciously fused with her and together, they became an existence who transcended humanity and could reach God. The Final Dungeon – Heavy Spoilers! The mere presence of this new being in the server inside the Sun was enough to Summon all the people who had strong bounds with them, which means that, even though all your friends died on the way to this final challenge, now you had a complete party. You were literally in the after-life, where all the data returns once their physical bodies gets destroyed in the Earth. This is a really bizarre and epic dungeon, since it means a return to all the main faces you found during your journey, not only friends, but also enemies, who are summoned by the main server in the Sun for protection. Even enemies who were only fought during cut-scenes make an appearance to give you the chance to completely defeat them this time! It’s a real tribute to everything you have done so far and it’s fantastic! By the end of their journey, Serph and Serafita finally are able to ascend to a higher dimension, they are able to receive God’s forgiveness. They are joined by a mysterious being who was always by their side. It seems like this entity knew about everything that was going to happen with the heroes, and was merely watching as destiny run its course. Now that they were finally together, they decide to travel to many other realities and even make worlds of their own. But who is this entity who looks exactly the same as the combined form of Serph and Serafita. Will they only watch upon the people in these new worlds, or will they influence them? Will they become Gods in those new worlds? 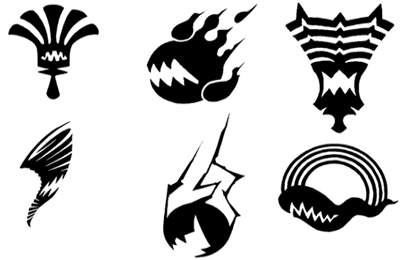 Curiously enough, the origin of the Shin Megami Tensei talks about the entities who are the exact opposite of one another disputing and betting on destiny of humanity, so this game could very well be the beginning of the whole MegaTen universe! 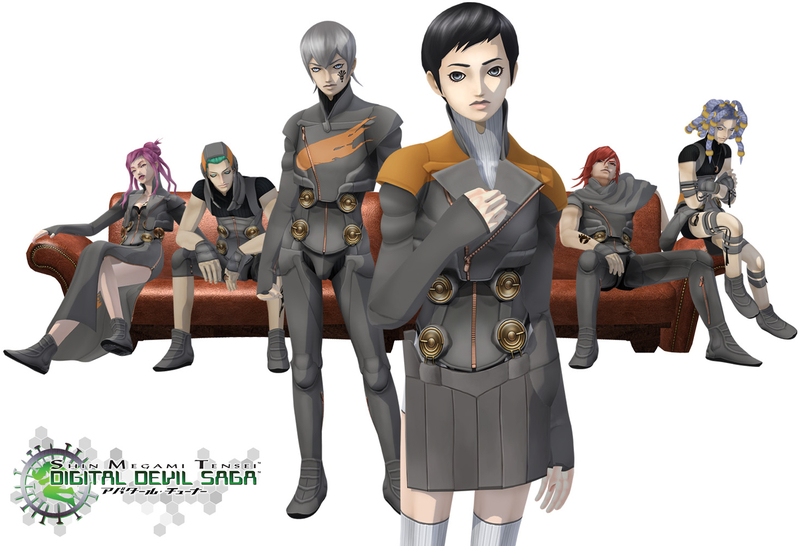 Digital Devil Saga is usually overlooked, even by fans of this universe, because many people take it for just another Matrix rip-off, which is a waste, since this game certainly represents much more than it normally is credited for. It has a rich gameplay, an interesting world setting, memorable characters and even great philosophical meanings behind it. Fortunately, it is now available in the U.S. PSN for a low price, giving a new opportunity for people to enjoy this game. I had a great time playing it and I definitely recommend it to everyone! 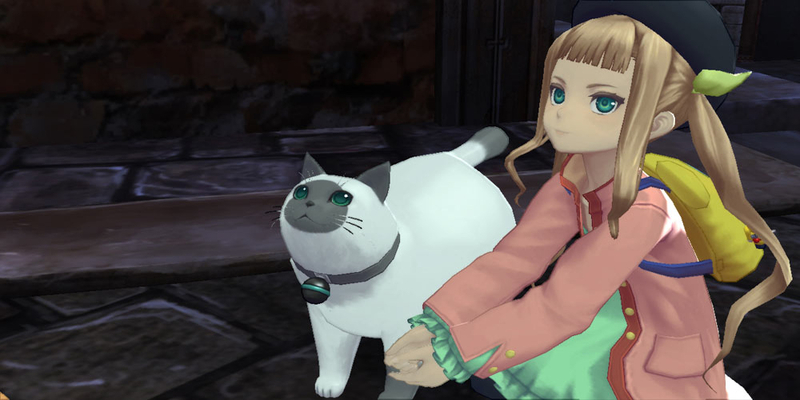 This entry was posted in Game and tagged Atlus, Game, PS2, PS3, Review, RPG. Bookmark the permalink. Definitely an interesting game and actually my first introduction to SMT back in the PS2 days (I might’ve already said that before, though…). I still occasionally listen to the soundtrack of the first game. This reminded me, the Kuzunoha Raidou games are also tremendously overlooked by most people, which is quite a shame. This almost was my introduction to SMT as well, but I played a little of Persona 2 during the PSX era. Yes! The music in DDS is great! The soundtrack of the 2nd game isn’t bad, but the music in the 1st one is simply great! I also listen to it a lot! I am playing the 2nd Raidou game right now, which is a really good game too, but it didn’t age so well.